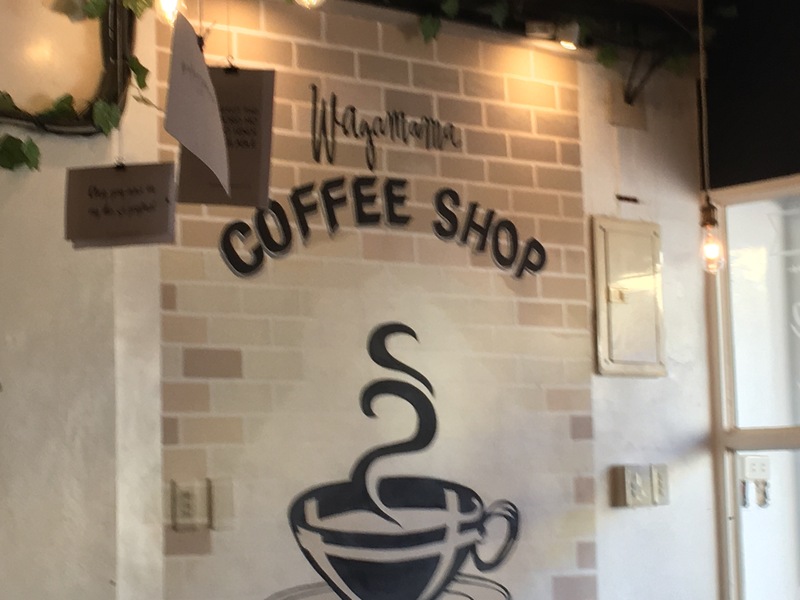 Wagamama Cafe is probably the biggest café you’ll find in Pacita Complex, San Pedro, Laguna. We first visited it on a weekend early this year, but didn’t get the chance to actually dine there because it was full then. We planned on coming back, especially that we have seen how the customers (of diverse age groups) seemed to enjoy their time there, playing various types of board games. Moreover, the owners and the staff seemed very nice and accommodating; one of them even went after us when we left and offered to reserve a seat because the customers on one table were about to leave. It wasn’t until this March, however, that we were finally able to come back to this café, which has already started becoming popular in the area. We were there at around 2 PM and it wasn’t crowded yet at that time, although some of the tables were already filled. The biggest group, however, wasn’t there to just hang out or grab something to eat. Apparently, they were students rehearsing for a school play and eating didn’t seem like their priority. We, on the other hand, went there to do some brainstorming and to evaluate our progress in homeschool over (good) food and drinks that we couldn’t wait to try. The interior. I liked the interior of Wagamama Café; it was cozy. There’s plenty of space to move around compared to the other cafés in the area. If I’m not mistaken, they could probably sit up to 40 people. A big portion of the place was well lit, but the area that seemed to have been converted from a bunk bed (sorry, I’m not really sure what to call that area) was rather dim, especially the nook nearest the counter. We wanted to stay there, but I had difficulty reading the documents I had brought with me because of poor lighting and the table provided was too small to accommodate the food and drinks we ordered and still have some space for my notes. We decided to stay on the couch, which was more comfortable, especially that the wooden chairs didn’t have cushions. We were planning to stay there for 1–2 hours, so it’s imperative that we were seated comfortably, not to mention my companions were kids, ages 13 and 10. There’s also an old bookshelf on one side of the place that would have really made me feel at home, except it contained a sparse collection of reading materials. I wish they would fill it with more books (and magazines) on various subjects. At first, I thought that maybe the books were with the other customers, but everyone else was either chatting with each other if not using his/her laptop or mobile phone, especially that there’s free WiFi. We thought we would also find some gameboards on the shelf, since that was one of the reasons we were lured to come back to this place. We saw groups of friends and families playing gameboards the first time we dropped by (on a weekend), but there was none this time, and we didn’t bother to ask the staff about them anymore. I guess the bookshelf was placed there just to serve as a decor (and a secret door to their storage room) and not really to hold many interesting books, and that made me a little sad. I was also hoping that at that time of the day, we would be able to have some peace and quiet, especially that it was a school day, but I was wrong. Aside from the noise coming from the group of students rehearsing and other customers whose voices were trying to compete with all the other sounds, we had to deal with loud music, plus the grinding noise from their blender. I had to ask the staff to lower the volume of their sound system, but they seemed deaf to me. So much for holding an important meeting there with my girls! We decided to stay, anyway, especially that we’ve been really wanting to try the food and drinks at this café. Besides, there were interesting decals and writings on the walls that we, especially Big Sis, enjoyed reading and taking photographs of. Service. Since we already had an initial contact with their staff (and café owners) from when we first dropped by, I was positive that we would have a nice experience when we finally dined there. Unfortunately, things weren’t the same when we came back. I didn’t find the person who attended to me at the counter to be that friendly or accommodating, for one. Okay, maybe she was a newbie or was just plain distracted. When I asked for more information about their offerings, including best sellers, she just pointed to me the printed menu near her, plus the one written on the board behind her; no other information was offered at all to entice me to try a particular dish or drink. I also had to repeat my order several times because she couldn’t seem to get it right, plus she overcharged me, so I had to ask her to recompute everything and give me a receipt. Oh, did I mention that she seemed more interested in chatting with her fellow staff? Further, she seemed very displeased when I asked for a receipt. She looked at me like I was from the outer space or something. They don’t give any; hence, I didn’t get any. She simply wrote down the items I had ordered on a small piece of paper with the total amount, which I no longer bothered to take. It didn’t take long for me to realize either that their food and drinks were expensive, considering the fact that they’re located at a village in a suburb (and is most likely still quite new in the business). And that made me wonder more why they’re not giving out receipts. Were they trying to avoid paying (the right amount of) taxes? And why give me that look when I asked for one? Doesn’t the law state that I could have for free everything I bought if the establishment failed to issue a receipt? Some establishments would even point that out to their customers! I was really tempted to leave then. Anyway, it took 20–30 minutes before all our orders were served (one by one), which was pretty long, especially that they didn’t have many customers at that time and it looked like we were the only ones who haven’t gotten served yet. It’s a good thing the other crew was nicer and more attentive, like the one who busts and brings the food to the tables. I guess that somehow balances things when it comes to service? Food and drinks. We tried their pesto pasta with grilled chicken (PHP129.00), cheesy French fries (PHP155.00, for sharing size), and a slice of chocolate cake (I can’t remember if it was PHP80.00 or PHP90.00 per slice). If you’re not really hungry like our group was, you can say that their food serving was good for up to two persons, even up to three, depending on your appetite too. The French fries were good—Big Sis nearly devoured it all by herself—but didn’t seem plenty enough for its price. We found their pesto pasta rather bland in taste and that’s just disappointing, since Lil Sis and I love pesto pasta and we make them at home from time to time. The cake looked yummy, but the taste was just okay. Even Lil Sis, who has a sweet tooth, didn’t take more than three forkfuls of it. Unfortunately, I can’t really say that there’s anything special about any of the food we tried – something that would really make me or Big ‘n Lil Sis say wow! or let’s try that again when we come back. Except for the fries, which wasn’t really that much to begin with, I ended up eating most of the food we ordered, and had a difficult time finishing them too. Guess why? We also sampled two of their frappés, of course. They may be pretty to look at, but unfortunately, they were too sweet for our taste. Moreover, there was too much whipped cream that was so thick and won’t blend with the drink at all, plus the ice they used had formed into a chunk that we really didn’t have much to drink after a few sips. At PHP129 to PHP139 each, that’s rather steep, especially that we weren’t really able to enjoy them. All in all, we spent more than PHP600.00 for our food and drinks. And, no, I don’t think it was worth it. Two family pan pizzas plus buffalo wings for the same price eaten in front of the TV would have been more satisfying, I think. On the other hand, Wagamama Café has a wide selection of food and drinks. They serve cakes, pasta dishes, sandwiches, and rice meals along with hot and cold drinks among others. I’m sure you’re bound to find something that you’d really enjoy; we probably just weren’t lucky to find one that we truly liked the first time we dined there. Cleanliness. The café itself was immaculately clean. The tables and chairs were spotless and properly arranged. Almost as soon as one gets disarranged, someone would put it back into place. Their restroom was also clean. The outside of the café, however, was a different story. There was uncollected garbage leading to its entrance when we went there, which was a sore for both the eyes and nose. I wish their staff would also pay attention to this area. Although garbage collection may be out of their control, they could have used bigger trash cans with lids to keep all the trash neatly in one place. Location. Wagamama Café is conveniently located along Pacita Avenue at Pacita Complex 1 in San Pedro, Laguna. You’ll find it on the left side of the street if you’re entering the village from the National Road of San Pedro City; it’s about four blocks away from Jollibee Pacita/Westlake Hospital. It’s housed in a two-storey white building and has a parking space right in front of it. The café was rather easy to spot because of its huge signage, too. So, would I go back to this place with my family? Maybe, but only to see if there have been any positive changes since we last visited. It’s not something that I’m really looking forward to try again in the near future and I certainly don’t want to spend another PHP600++ for the same amount and kind of food and drinks that we didn’t really enjoy. Is it a place that I would recommend to others? Only if they’re looking for a seemingly cozy place that is not too cramped (on a weekday) and would look good on Instagram. I can’t say it’s a nice place to hold meetings, since their music is too loud and the staff seemed impervious to the fact that people go to cafés for quiet conversations/meetings, relaxed atmosphere, and/or good food and refreshing drinks that are supposed to be tastier yet more affordable than family restaurants and are served quite faster. As I read other reviews about Wagamama Café online, I noticed that their very loud music, “expensive yet substandard quality” food and drinks, and inattentive staff were among the common complaints. On the other hand, everybody seems to agree that the place really looks nice and cozy, and yes, there are some who actually loved the place too. Got a café that you would like for us to check out? Just fill out the contact form. For more food reviews, follow SAHMot-sari on Zomato.